Generally low risk for travelers, except in parts of north and west Africa, in South Asia and in Peru. Elsewhere, travelers are usually at risk only when exposed to low standards of hygiene with respect to food handling, control of drinking water quality and sewage disposal. Causative agent: Salmonella typhi, the typhoid bacillus, which infects only humans. Similar paratyphoid and enteric fevers are caused by other species of Salmonella, which infect domestic animals as well as humans. Transmission: Transmitted by consumption of contaminated food and water. Occasionally direct faecal-oral transmission may occur. 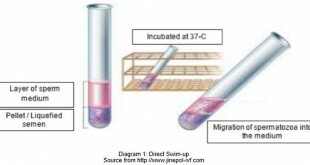 Incubation period: From 3 days to 3 months with a usual range of 1 – 3 weeks. Severe cases are characterized by gradual onset of fever, headache, malaise, anorexia and insomnia. Constipation is more common than diarrhea in adults and older children. In white skinned patients, pink spots (papules) which fade on pressure appear on the skin of the trunk in up to 50% of cases. In the third week untreated cases develop additional gastrointestinal and other complications which may prove fatal. 2 – 5% of those who contract typhoid fever become chronic carriers as bacteria persist in the biliary tract after symptoms have resolved. Symptomatic treatment: Advise rest, drink plenty of fluids and take antipyretic (e.g. Paracetamol) to relieve symptom of fever. Type of vaccine: Both vaccines are safe and effective. injectable Vi CPS: capsular Vi polysaccharide vaccine (Vi CPS), given i.m. in a single dose and produces protection 7 days after injection. Protective efficacy is 72% after 1.5 years and 50% 3 years after vaccination. One of Vi CPS i.m. 3 or 4 of live Ty21a, given orally at 2-day intervals as liquid or enteric coated capsule. Contraindications: Stop Proguanil, mefloquine and antibiotics one (1) week before starting Ty21a until one (1) week after. Special precautions: Vi CPS is not under 2 years of age; avoid Proguanil, mefloquine and antibiotics with Ty21a.